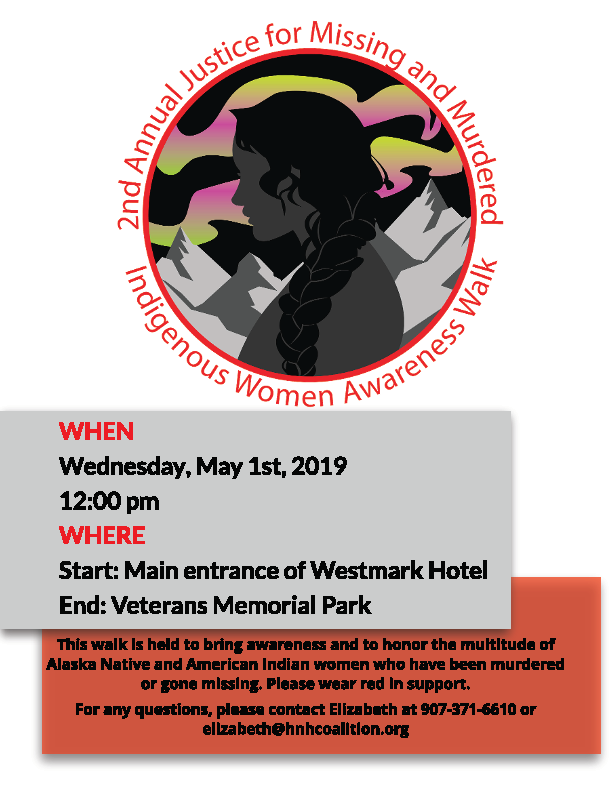 During the period of 1979 through 1992, homicide was the third‐leading cause of death of Indian females aged 15 to 34, and 75 percent were killed by family members or acquaintances. In 2005, the movement for safety of Native women resulted in the “Safety for Indian Women” being included under the Violence Against Women Act. A study released by the U.S. Department of Justice has found that in some tribal communities, American Indian women face murder rates that are more than 10 times the national average. Over the last decade awareness of this national issue has increased but more must be done to stop disappearances and save lives. Please join us on May 5th, 2019, as we honor missing and murdered Indigenous women and together increase our national awareness and demand change at the tribal, federal and state levels. (3pm Eastern, 2pm Central, 12pm Pacific, 11am Alaska, 10am Hawaii), unless otherwise indicated. 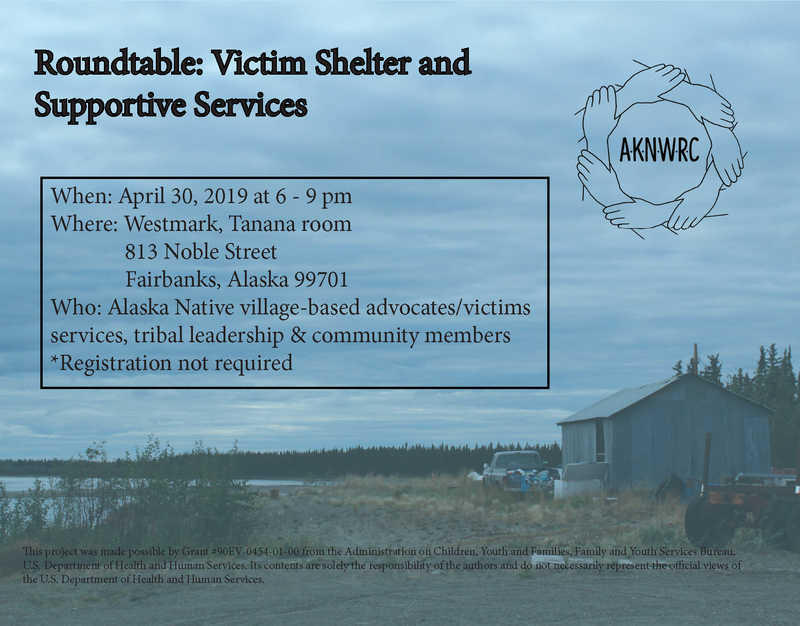 When a woman goes missing in our community, or dies unexpectedly and often from suspicious circumstances, our communities go through a series of emotions from grief to anger. We are sad for the loss of our loved ones and we often have so many questions and concerns and no place to turn for answers. We are concerned about where she might be and who can help us with answers. After days, weeks, months or even years go by without adequate answers, we are angered about why we are not getting the necessary help. 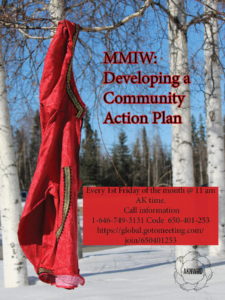 The missing and murder of Indigenous women, or “MMIW” is gaining national recognition and federal and states are now trying to develop a plan to address the need for data. Even still, we are without closure and have unanswered questions about what happened and who is responsible for the victims that are currently missing. 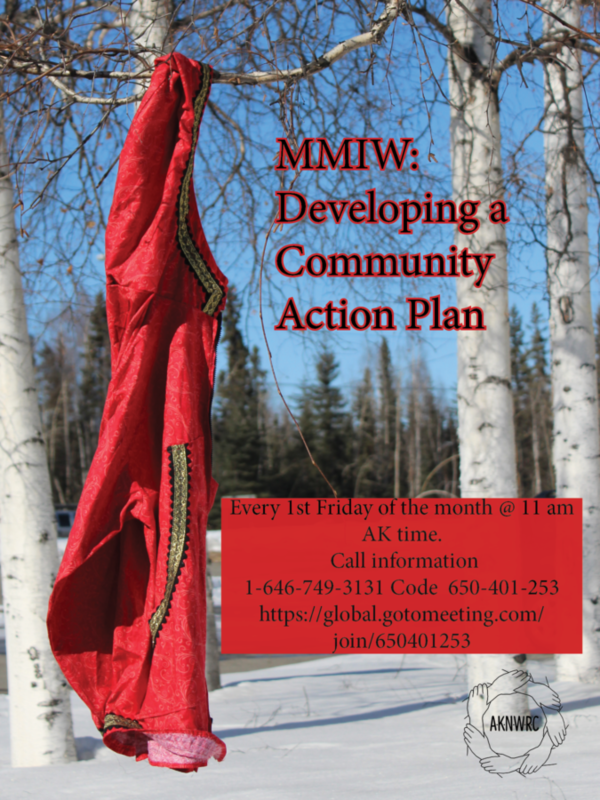 Beginning in April 2019, the Alaska Native Women’s Resource Center (AKNWRC) will host monthly calls on MMIW with the goal of developing community action plans when a woman goes missing or is found dead from unnatural causes. 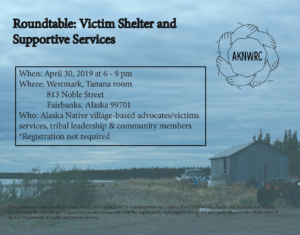 We hope to put together a plan that includes information and action that can be undertaken to address the emotional needs, who to contact for answers, and what services can be available. It is clear that we need to act to raise awareness of these issues and to assist in finding answers and resolutions to promote healing within our communities. 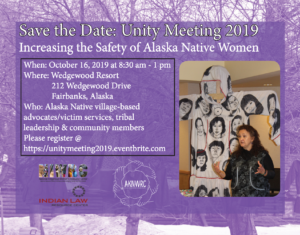 Please come join us for our annual Unity Meeting! 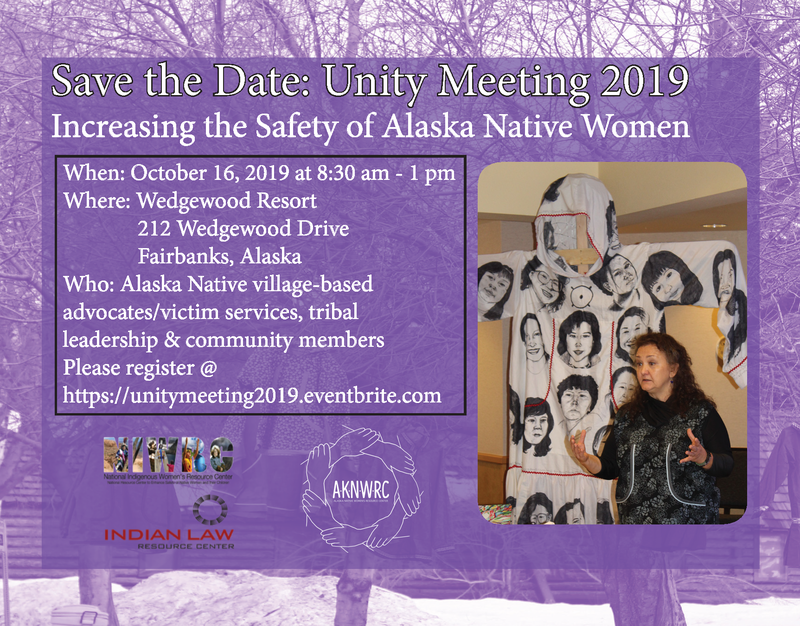 The purpose of this meeting is to 1) inform tribal leaders about important legislative developments & priorities concerning domestic & sexual violence 2) provide information about organizing efforts of tribes & advocates at the local, regional, national & international levels to address the safety of Alaska Native women 3) engage Alaska tribal leadership & allies in discussing life‐saving reforms in laws & procedures.